The illustration captures the theme from 1 Timothy 6:11. 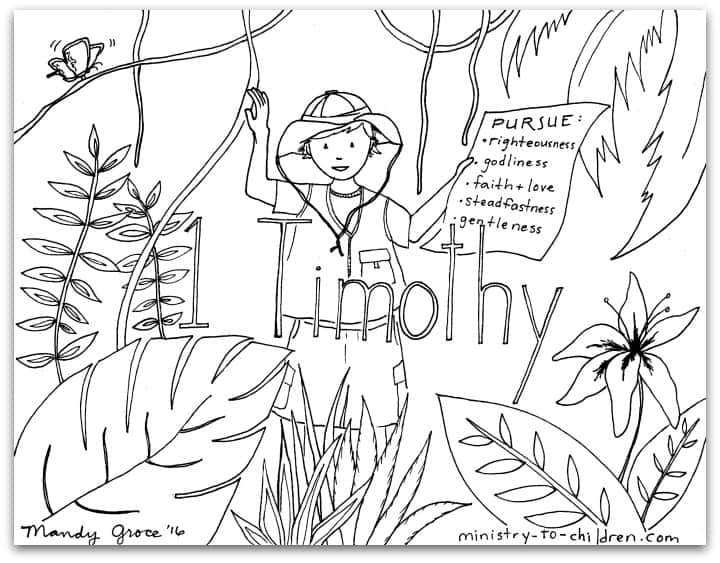 It shows a young boy searching in a jungle scene with the following words on his paper for a map. Pursue righteousness, godliness, faith, love, steadfastness, gentleness.